The first frost will kill the vine, but you should leave the gourds on the vine until the stem connecting them is brown AND dried. 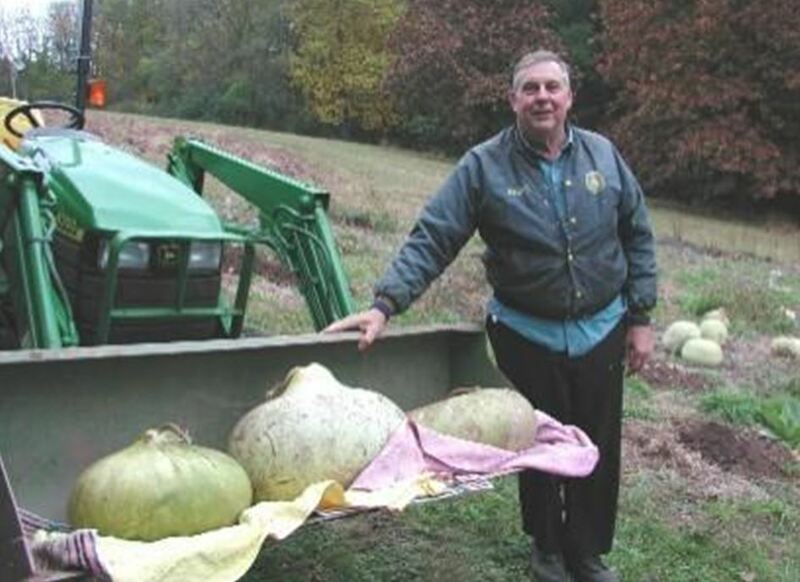 You can leave them outside in the gourd patch through Winter and Spring, or harvest them and move to shed or barn until they are dried and ready to be cleaned. Gourds will dry on their own. You don't need to do anything special. Do Not bring the gourds into the house or any enclosed space to dry. The thin outer layer that covers the gourd gets moldy. This is normal, but the spores decrease the indoor air quality and may even be unhealthy. After several months the gourds will be brown and mottled, not green. Dried gourds should be very light weight. Seeds may or may not rattle.